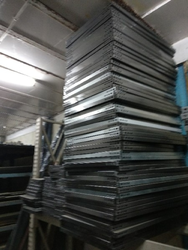 Buyers can avail from us Tin Sheets that are manufactured using high-grade iron. Our Tin Metal Sheets are available in various lengths and densities. Polished with special chemicals, the Tin Sheets are corrosion-resistant and long lasting. The Tin Sheets can be purchased in bulk from us. 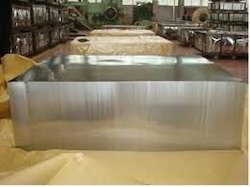 We are functioning as Tin Sheets Supplier in Karnataka. Supported by trained personnel, we are readily instrumental in presenting a comprehensive spectrum of Metal Roofing Sheet. This is totally fabricated products on site. Dismenteling & fitting esealy. Desgine by customers required. Being an eminent organization in the industry, we are involved in exporting a premium quality range of Plain Tin Sheets. Uses : Used for making Food cans, beverage cans, aerosol cans, paint cans, chemicals cans,stove plates,etc. Size : 30 Inch, 32 Inch, 35 Inch, etc.